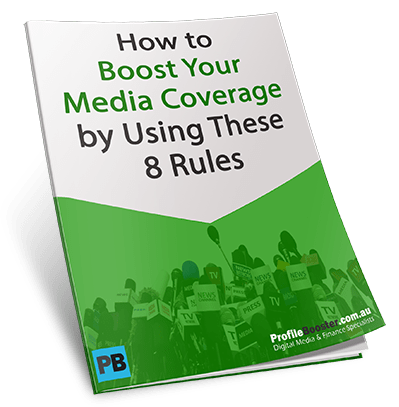 Are you still struggling to find the best strategy on how to use social media to boost your PR results? If you feel that way, chances are you are not alone. Many marketing and communications managers are still grappling with the challenge of how to use social media to boost PR results in the current digital media environment. And how do we know this for a fact? It’s because we work with many marketing and communications managers and their teams in the financial services industry. And our work brings us up close to the challenges being faced by marketing and communications managers. Over the past two years, more and more financial services companies have come to embrace social media as part of their overall marketing and business strategy. And why not? Businesses, particularly in the financial services sector, now realise that most of their customers are digital technology savvy and heavy users of social media. So it is not surprising that the big banks, insurance companies, stockbrokers, CFD and FX providers, financial planners and even fund managers are now allocating some of their marketing budgets to social media. In this post, we will share some effective ways of how you can use social media to boost PR results. Let’s start with some basics. While the debate on whether the press release is dead or alive is still raging, thousands of press releases are still being sent out to journalists every day according to major news distribution companies. And while many people in the media industry agree that the press release has lost some of its value over the years, there is no doubt that there is still a place for press releases. When writing a press release, always think of your key messages. What are the outstanding items you want to get across, first of all to your media contacts and ultimately to the readers and your target audience? What’s the message and which channel? Once you’ve identified your key messages, you can choose the most appropriate social media channel to use to send those messages across. Today, as more and more journalists turn to social media for story leads and information, it is worth researching who among your media contacts are using which social media channel. While it may not be appropriate to send a public Twitter message to specific media contacts, what you can do is send a general Twitter post with a link back to your press release or the relevant information you want to share with the media. A growing number of industry experts now use social media to express their views and opinions on particular topics. And once their views are picked up on social media, they could also be picked up by the wider media audience, which can result to a wider coverage. It is a fact that social media is changing and continuing to change the way we do things. The growing number of people using social media is also a proof of its impact on people’s lives and the society where we live now. Another way to use social media to boost PR results is by encouraging your company spokespeople to be active participants on social media. And once they are actively participating through regular articles, opinion pieces, video interviews and other high-impact content, you have to support them to keep them active on an ongoing basis. In another research, it was shown that last year, 68 percent of Americans using social networks said that none of those networks had an influence on their buying decisions. This year, just 36 percent said that there was no influence. Today, 47 percent say Facebook has the greatest impact on purchasing behaviour (compared to just 24 percent in 2011). While these numbers and statistics are of interest on their own, what’s more interesting is the impact of social media on people’s behaviour and decision-making. A recent PricewaterhouseCoopers (PWC) research into online and digital purchases showed that 45 percent of shoppers worldwide are influenced by social media through reading reviews, comments and feedback on social media channels. The same survey concluded that consumers are turning to social media not only to be inspired or to be informed but also to buy products. Given all these data about consumer behaviour and decision making, isn’t it logical for you and all your relevant company spokespeople to be active on social media? While it is not a good idea to use social media to bombard your clients and your target market with sales messages, you can use social media to engage with your audience. Industry experts agree that social media can be an important tool to build credibility and authority. And if you’re seen as a credible and authoritative source of information, chances you will have better engagement with your clients and your potential clients. Again, taking into consideration the various social media channels, you can pick and choose the most appropriate ones that will suit your message and your company spokespeople. For example, market analysts and commentators tend to use Twitter to issue breaking news or commentaries on time-sensitive developments. Some economists and forecasters tend to use LinkedIn for more in-depth and longer articles that express their views and opinions. While others take on to YouTube for a more visual presentation of their views. Still, others use podcasting to reach out to their audience. Given that marketing and communications teams are overloaded with day-to-day tasks and new projects that seem to be thrown their way on a constant basis, having an overall strategy for content creation tend to be relegated to the backburner for many companies. Instead of having a comprehensive and integrated content strategy, many companies operate on an almost ad-hoc content creation environment where content are created depending on who is demanding it the most at a certain time. While it is good to be flexible and responsive to market developments and opportunities, putting in place a content strategy will give marketers and communicators more control and better results. Who is producing the content for you and your company – e.g. do you use in-house experts and spokespeople, or do you use highly qualified content producers who know your business? This video will give you some tips on what to consider before you hire a digital marketing agency. The social media landscape continues to evolve every day. And as more and more people use social media for all aspects of their lives, it pays to take heed of the message: use social media wisely to boost your PR results. If you have any question on any of the items we touched on in this post, feel free to contact us. We’ll be happy to talk about how you can use social media to boost your PR results.